I love birthdays--mine or someone else's. I love cakes and candles and okay, I'll admit, even minimalist me enjoys a little bit of gift giving. The flowers here were a birthday bouquet from a previous time, since I don't have anyone's permission to post a photo of them blowing out candles. Even though those are the most enjoyable birthday photos. This weekend I was able to participate in two birthday events. One was for my son who is in his 20s. It was a delight to celebrate this wonderful young man who has made me more proud than I could ever have imagined. I found the perfect card that made me cry. (How do card writers do that?) We had a fun dinner with my son and his wife on Saturday night at a noisy eatery they hadn't tried before. The food and drink were yummy, and visiting with them always makes me grateful they have each other, and I can be a part of their lives. Sunday afternoon was quite different--a party for a three-year-old girl. Her mother had moved the family into a new home and totally redecorated it in a short time. (Wow. To have such energy!) The gathering was fun for every age (60+ down to 18 months), and incredibly well organized. It was a treat to watch the interactions of this group of grandparents, parents and their darling kids. After gifts were opened, the kids all got to go play at the park. And they each had a bottle of bubbles! and a bucket and scoop to play in the dirt. Gotta love that! Now that I write fulltime, I try to get as much work done as possible Monday through Friday, so I can give myself weekends off. It's not just party-party-party, of course. Goodness no. Um...except this coming Saturday is a day-long Kentucky Derby Party. I hope there will be cake. And mint juleps. USA Today Bestselling Author Magdalena Scott writes sweet romance with small town settings. Visit her website: www.magdalenascott.com. Have you signed up for our newsletter yet? It comes out three times a year, Valentine's Day, Summer and the December holiday issue. 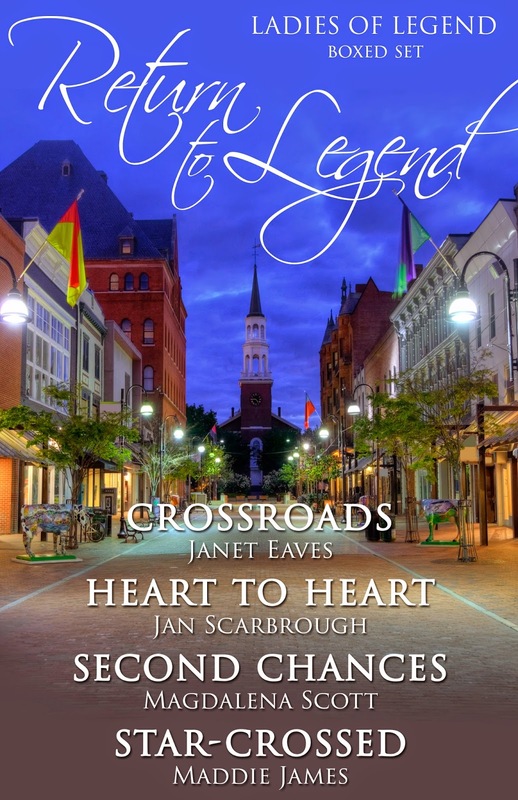 Each issue features sweet romance flash fiction, delightful stories that will warm your heart. It also includes giveaways from our authors and news about their latest releases. Don't miss another issue. Scroll down the right side of our blog and enter your email address under Newsletter Signup. I still love parties of all kinds. Birthdays are unique because they're a celebration of one person's special day. Really enjoyed doing kids' parties for my children when they were young-with lots of fun themes (like Hawaii or Dinosaurs!). Still look forward to-and enjoy/appreciate-my own special day each year, too. :) Have a fun Kentucky Derby Day! Cheers! Ginny, I bet your kids' parties were great because you're so creative. Theme parties were fun when my son was little too. We had a great bakery (which of course you're aware of) that made gorgeous cakes to order. 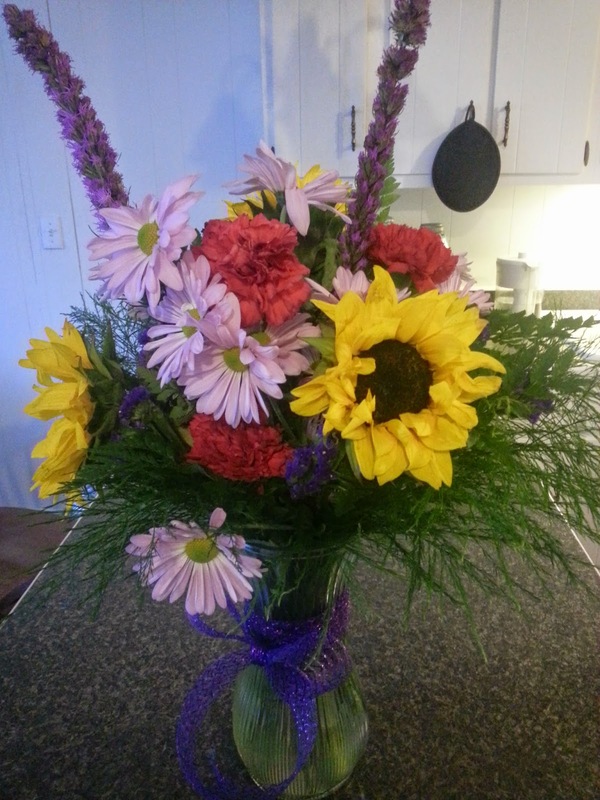 I love receiving flowers for my birthday, only I usually have to buy them for myself! Our birthday celebrations usually involve a meal with the family and sometimes a day out. I'm not a great one for parties and I prefer a quiet meal with my closest ones. Your quiet celebrations sound lovely, Helen. I've bought flowers for myself a few times, but since Attila became part of the family, and flowers have to be on top of the fridge to keep them (and him) safe, I have pictures of flowers instead. Maybe that's part of why I enjoy your garden photos so much! That is a great strategy, Magdalena! I used to work M-F so weekends seem like a time that I should have off... unfortunately sometimes I get behind in my deadlines and use them, but I try not to... and I definitely would not for the Kentucky Derby!! What a range of birthday adventures. My niece turned 6 in January and my brother and SIL threw her first real invite-all-the-kids over party. Included a bounce house and slide and a magician. Fun and EXHAUSTING! Sounds great, Kristin! A magician would be so cool. Maybe when I turn 60? Your niece's party reminds me (watch out, old memories coming forward) of my son's 6th birthday when we had a yard full of kids, miniature tables and chairs, and games... The big wooden clown fell on one of the little girls. Fortunately she was more shaken than hurt, and had dirt up her nose. Yep, those were the days. I do still like birthdays. One thing about Facebook and social media is that I miss friends calling on my birthday--now they just drop Facebook notes which isn't the same. Isn't it interesting that, with the immediacy of social media, sometimes it makes us feel *less* in touch? I love birthdays, especially mine because it's the Fourth of July and the entire country celebrates -- at least I always told my kids that the fireworks were for my birthday. Bless them, they actually believed me for years! How funny, Patti. Love it! I'll think of you when the fireworks start going off around here. You're Invited to Take a Coffee Break!